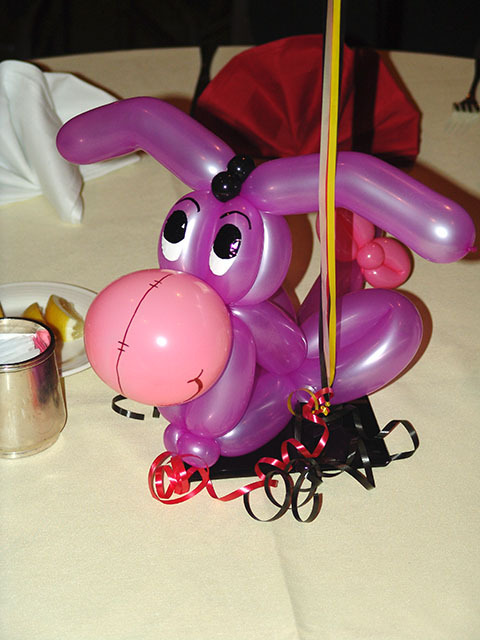 Here are a couple of balloon centerpieces from a Disney event. 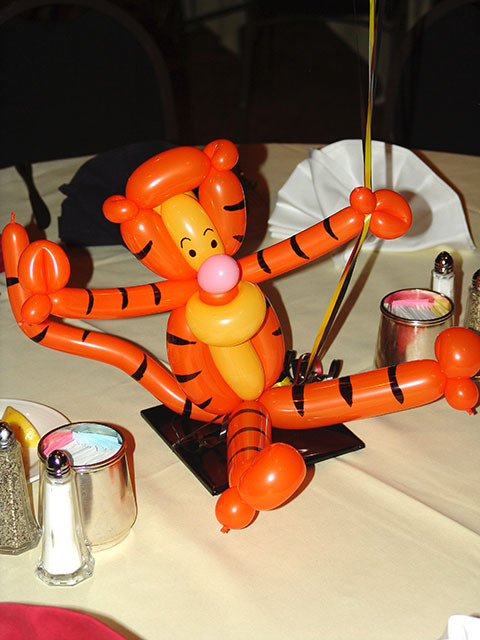 These would be great for a Winnie the Pooh themed party. Here is Eeore from Winnie the Pooh. 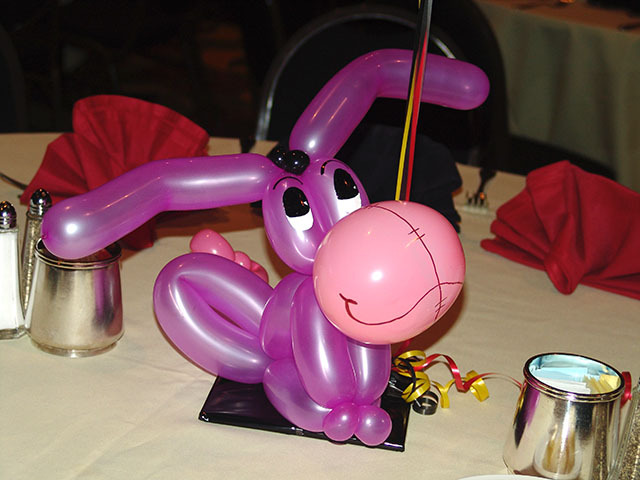 All of these Disney characters were twisted as Balloon Centerpieces for a Disney event held here in Denver.